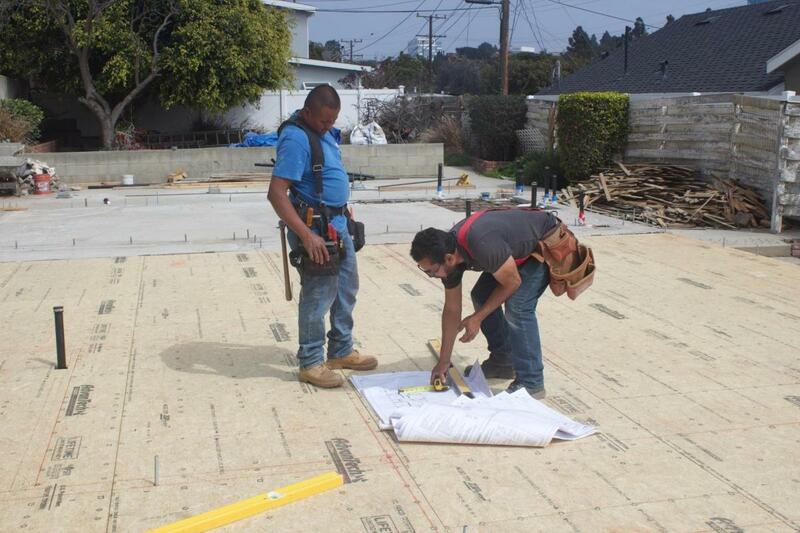 Once all the flooring is down, Julio and a crewman go about the rather painstaking step of deciphering the architectural blueprints and “copying” that info onto the flooring so framers know exactly where walls are to be placed. The job requires a lot of walking, measuring, and marking, plus a little head scratching and a lot more measuring. OK, got it? Then snap those chalk lines, and we’re good to go. It’s a process that requires a thorough knowledge of plan reading and the ability to move methodically. 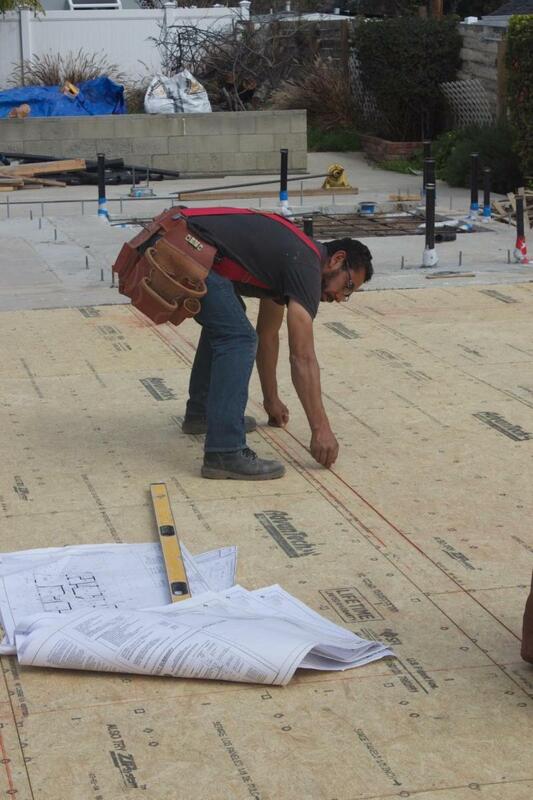 Mark those lines incorrectly and you could be redoing a heck of a lot of framing!